﻿This package does not provide an easy way to uninstall. If you wish to remove the toolchain, google for “lsbom uninstall” and follow the procedure while optionally shrieking curses upon Apple’s immature packaging system. Hopefully I won’t have to uninstall. I have been using an Apple MacBook as my primary computer for almost four years now. The hardware is great (compact, light, and powerful) I have enjoyed that it has a clean interface and the same solid backend as some of my other favourite operating systems (after all, it is basically a customized, rebadged FreeBSD). Today, however, I was prompted to install the latest OS X update and see that it mandates the installation of the Mac App Store. Anyone who has spent any time with me near an iPhone/iPad/Touch knows how I dislike the App Store. I will try not to rant too much here, but the basic points of my dislike of the system are as follows. The App Store is a bottle neck for app developers, necessitating a long delay between completion of an app and release to the world. Many apps also get blocked, often with poor rational as to why. This leads me to my second point. The App Store rejects apps for very hypocritical reasons. Two main examples come to mind. Google Voice was an app blocked because it replaced iPhone functionality. They also removed other 3rd party, Google Voice related apps at the same time. In reality no functionality was replaced as the iPhone had no support for using Google Voice on its own. In fact, there are a number of alternative dialers on the App Store that do replicate the iPhone’s features, yet they were permitted to stay. Another case was one where a dictionary app was blocked because it contained adult words. Meanwhile, the built in dictionary that comes with iOS contains all the same adult words and is included with the phone without an option to exclude those words. The above points are both ones that I feel are valid concerns, but are mostly just annoyances. My last concern is with the fact that the App Store blocks un-approved apps and leaves Apple with the power to remove any app from your phone that they don’t want you to have (as was demonstrated with the third party Google Voice apps). This demonstrates that Apple has no desire to respect their customer’s rights as product owners. I know that they masquerade as doing this to maintain a high quality product (their success at which is debatable, at best). However, if that were truly their concern, they could provide an “approved” and “unsupported” section in the App store. Apps that are queued up in the approval process could be put into the unsupported section until they get the Apple stamp of approval. An even better option, if you ask me (and just about any free software advocate) would be to provide repositories that users could add to the App Store. They would work just like the unsupported section, possibly right along side it, and would remove the ability for Apple to pull the plug on user software. This brings me back to the Mac App Store. This new store, to my understanding, requires an iTunes account to access it and, like the iOS App Store, contains Apple approved apps only. At the present, I am still able to install all my favourite apps without Apple’s help, but things are looking bleak in that area. 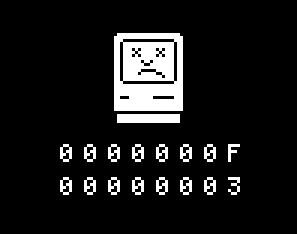 It seems to me that it is only a matter of time before Apple locks down their Mac OS X system as much as they have the iOS devices. Seems like now is a good time to finally jump ship and move on to a system that respects its users.